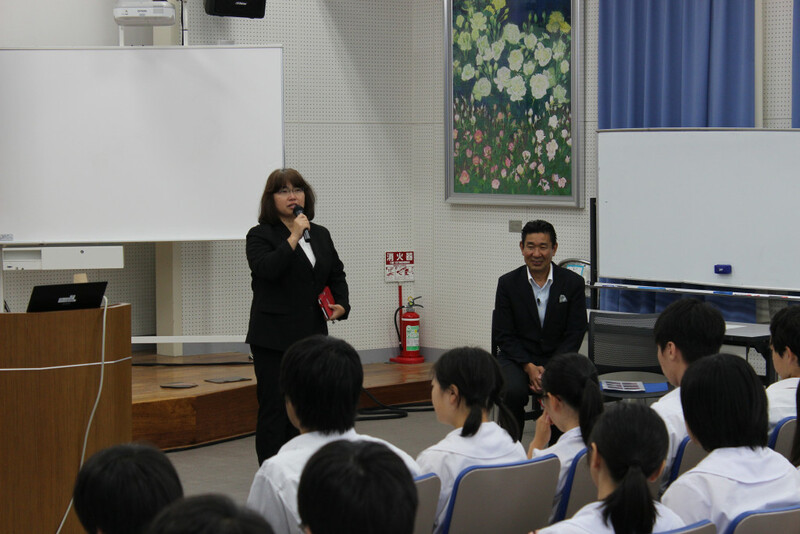 On Thursday, June 25, we invited Mr. Kazuo Kubota of the Student Patients of Incurable Diseases Support Group to give the 6th SGH lecture. 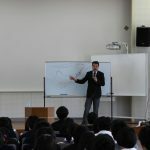 He talked about how his eldest son, Suzunosuke, who was hospitalized for an extended period of time when he was in high school due to an incurable disease, pursued the creation of a learning support system for high school students who are forced to spend their time in hospitals, and how there are issues in daily medical & health systems. 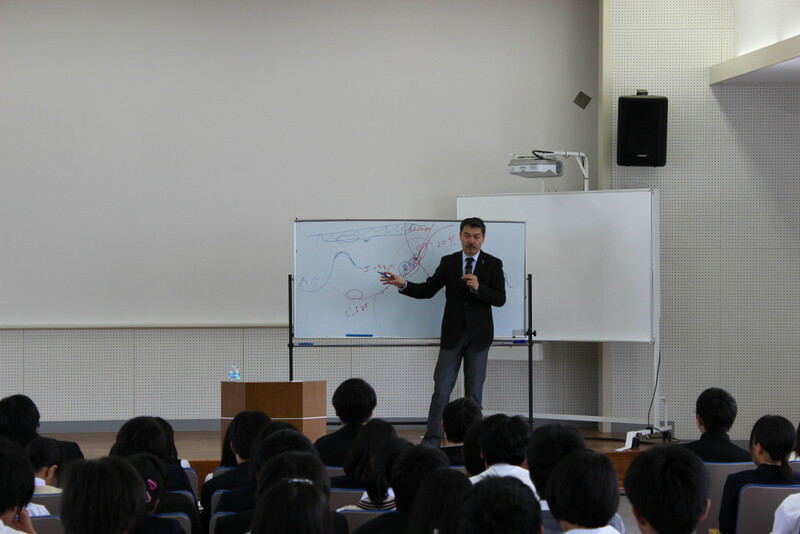 Students were moved and encouraged when Mr. Kubota told them that there were definite aspects of the social system that only high school students could change. 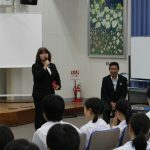 Additionally, this lecture was introduced on an Osaka TV program as well as in the July 8 edition of the Yomiuri Newspaper.